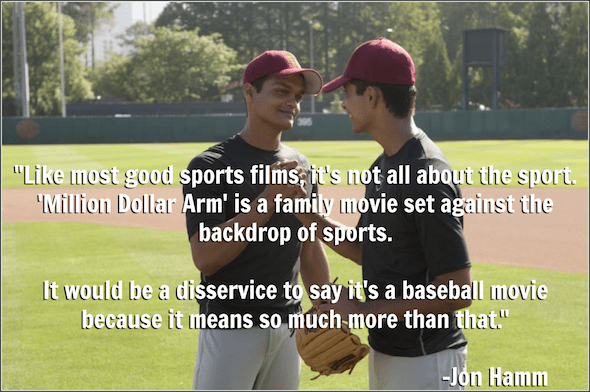 Disney’s Million Dollar Arm opens in theaters everywhere TODAY, May 16th! Find it at a theater near you and buy your tickets today! 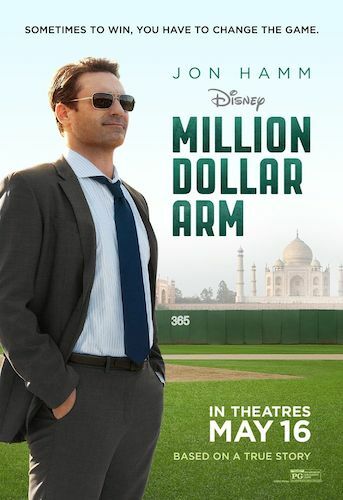 I've been talking a lot about Disney's Million Dollar Arm lately. It's based on a true story, and I learned a lot about the people and the emotions behind the movie in my interview with JB Bernstein, Rinku Singh and Dinesh Patel. My interview with Jon Hamm shares behind-the-scenes details and my recap of the red carpet at the Million Dollar Arm premiere shows just the tip of the iceberg of how incredible the night really was. But I haven't really said much about the movie itself. 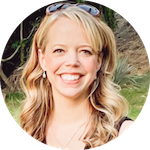 When I was writing those other Million Dollar Arm articles I found myself writing about how much I loved the movie, particular scenes that really stood out and the overall message of the movie. Then I'd remember that I wasn't writing a Million Dollar Arm movie review at the time and I'd stop myself from going down that road. Now's my chance to rave about Million Dollar Arm. I'm not a professional movie critic, so this article is just me, talking about the good things and hoping I can convince you to see this movie. Because it's that good. Are you a sports fan? Let me be clear: I'm not. I like going to live sports events, but I couldn't tell you anything about any professional sport and you pretty much have to pay me to sit down and watch televised game of anything if I can't bring a book or my laptop along! Yet I love the sports films Disney has released in the past: The Mighty Ducks, Angels in the Outfield, The Rookie, Miracle. I've found them all to be heartwarming, goosebump-inducing works that I could watch over and over again. 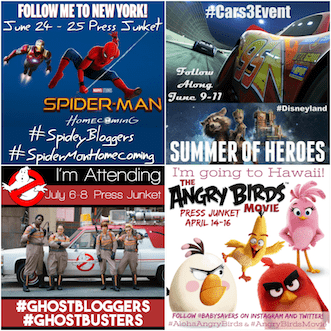 Million Dollar Arm fits in perfectly among those fantastic family films. Based on a true story, sports agent JB Bernstein (Jon Hamm) finds that business has changed and things aren't going well for his career. In a last-ditch eﬀort to save his livelihood, he concocts a scheme to ﬁnd baseball’s next great pitching ace. JB travels to India to produce a reality show competition called “The Million Dollar Arm.” With the help of cantankerous but eagle-eyed baseball scout Ray Poitevint (Alan Arkin), he discovers Dinesh (played by Madhur Mittal from “Slumdog Millionaire”) and Rinku (played by Suraj Sharma from “Life of Pi”), two 18-year-old boys who have no idea about playing baseball, yet have a knack for throwing a fastball. Hoping to sign them to major league contracts and make a quick buck, JB brings the boys home to America to train. While the Americans are deﬁnitely out of their element in India, the boys, who have never left their rural villages, are equally challenged when they come to the States. As the boys learn the ﬁner points of baseball, JB, with the help of his charming friend Brenda (Lake Bell), learns valuable life lessons about teamwork, commitment and what it means to be a family. The acting of both Madhur Mittal and Suraj Sharma. These two play parts Dinesh and Rinku who won the pitching contest in India and came to America to train. I can't decide who of the two I liked better in the movie, but, collectively, they were fantastic. It wasn't long after their characters were introduced that I felt a connection to them, and I loved the innocence and determination of the characters they played. Pitobash. This actor plays Amit in Million Dollar Arm and his character is beyond delightful. Amit is charming, funny, helpful and inspiring. When I noticed was sitting right behind me at the premiere, I had to turn around and compliment him on his performance. He couldn't have been more sweet and gracious in person! I've seen Million Dollar Arm twice and I can't wait to watch it again with my husband. Then I want to see it with my niece and nephews (ages 8-14). The best part about Million Dollar Arm is that I can't think of a single person who wouldn't enjoy it. It's definitely one of those rare movies that will appeal to everyone, making it the perfect film for the whole family!